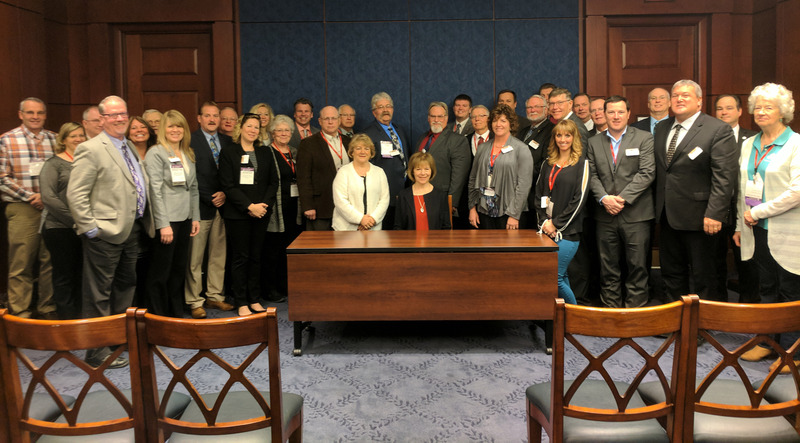 MREA hosted a briefing and lunch for 55 Minnesota electric co-op ambassadors in Washington, D.C. to kick off nine visits with the Minnesota Congressional members and staffers on April 10 and 11. Along with the Minnesota group, NRECA reports 2,050 co-op members from across the country in attendance at the NRECA Legislative Conference. Issues discussed covered support of the Farm Bill, Investment of Rural Broadband, Protection of the PMAs, Section 48A Tax Credits and PBGC. Several members lead the conversations with the Congressional delegation. Pictured here are the Minnesota delegates with Senator Tina Smith.